Warning: The following video and post may contain some spoilers for earlier seasons of The Walking Dead. Yesterday at San Diego Comic-Con Telltale Games unveiled first gameplay footage of The Walking Dead: The Final Season, and now that footage has been released online. 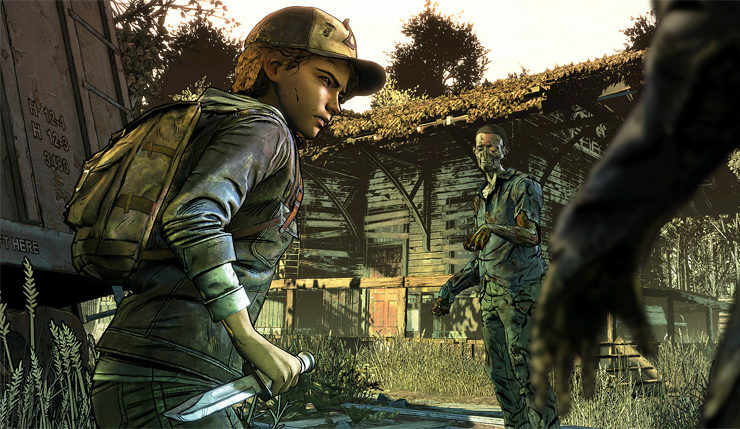 The first 15-minutes of The Final Season find Clementine and her young charge AJ on the road looking for food and supplies. Of course, they run into some undead trouble along the way. You can check out the footage, below. It definitely looks like The Walking Dead engine has been upgraded in a big way – the game now feels like a more modern third-person action-adventure, rather than a fixed-camera point ‘n’ click game. The action also looks a bit more natural. This will be the last Telltale game to use their old engine before they switch over to Unity – hopefully the gameplay changes don’t result in performance issues. The first episode of The Walking Dead: The Final Season shambles onto PC, Xbox One, and PS4 on August 14, and Nintendo Switch at a later date. The full season costs $20.